UAE, February 15, 2017 - To mark the ‘World Hearing Day’, Prime Hospital and Prime Medical Centers have today launched their ear and hear care awareness campaign for children, from six months to 12 years old. The campaign offers free ear exams and hearing screening during clinic hours from till February 28, 2017. The screening is provided by the Ear Nose & Throat (ENT) departments at Prime Hospital and Prime Medical Centers in the UAE. The campaign highlights the importance of ear care and the role early hearing screening has in treating hearing loss. Hearing problems can be caused by some factors, such as genetic predisposition, exposure to loud noises, chronic ear infections, and taking medications which affect hearing. The results of early screening for babies and children enable parents to make informed decisions about their child’s options for early learning, communication, and long-term academic preferences. The World Hearing Day is an annual advocacy event held every 3rd March and is supported by the World Health Organization to raise awareness on the importance of ear and hearing care across the world. The event, which started in 2007, is marking its 10th year this year with the theme ‘Action for Hearing Loss: Make a Sound Investment’. Studies have revealed that hearing loss is one of the top five health conditions in the Middle East, affecting one in 25 people – mostly children from birth. Prime’s campaign is held in collaboration with Cochlear Middle East (CochlearTM), the global leader in implantable hearing solutions. CochlearTM is providing educational material on hearing problems, which further explains the benefits of early screening and options for treatment. Hearing screening is a simple and pain-free test that determines whether babies and children are showing signs of hearing problems. ENT specialists suggest that older infants and children who are at risk for acquired, progressive or delayed-onset hearing loss should have at least one hearing test before two years of age, to avoid delays in speech and language development. 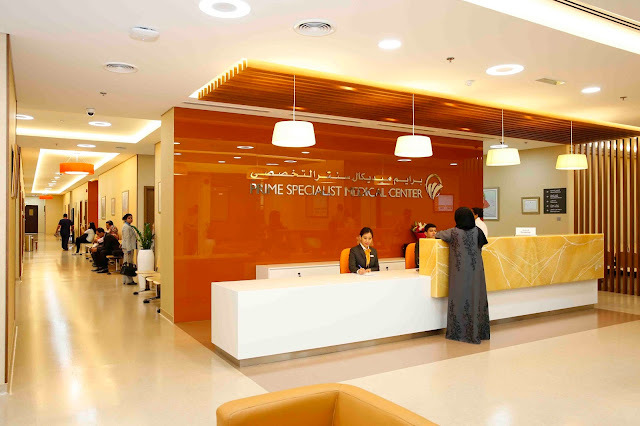 Prime Hospital has recently opened a cochlear implant facility to address the growing number of hearing loss patients in the UAE and the region. Cochlear implantation is an operation done by surgically implanting an advanced hearing device in the patients’ inner ear or cochlea to eliminate the use of external hearing aids.